The diet was initially based on the traditional diet of Greece (particularly Crete) and Southern Italy circa 1960’s. While it can never be exactly replicated, you can follow a Mediterranean diet wherever you are. You can start with one of these and try it out for a week or so and then add the next. 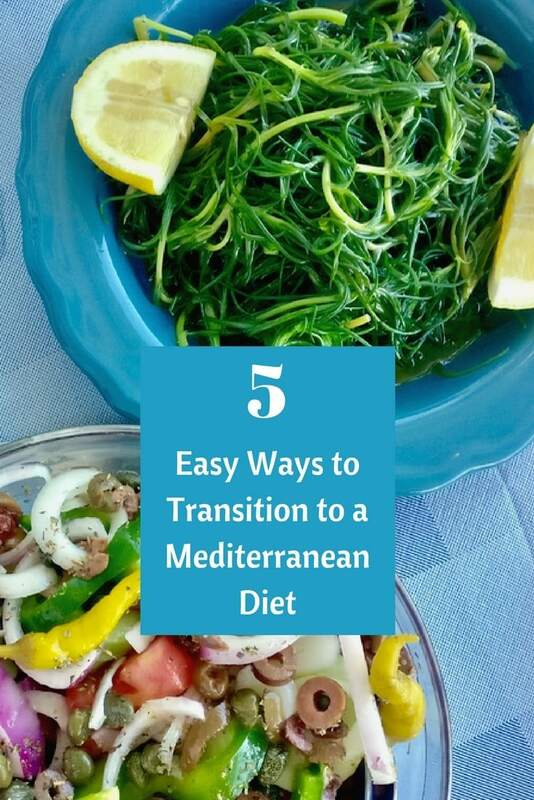 Than you can checkout my 5 Day Mediterranean Diet Menu Plan as well as the Mediterranean Diet Shopping List. 1. Switch to olive oil and do not skimp on it. Trying to follow a Mediterranean diet using very little olive oil defeats the purpose. Olive oil is the basis of the diet and many of the benefits appear to come from the good monounsaturated fats but also the polyphenols in the olive oil. 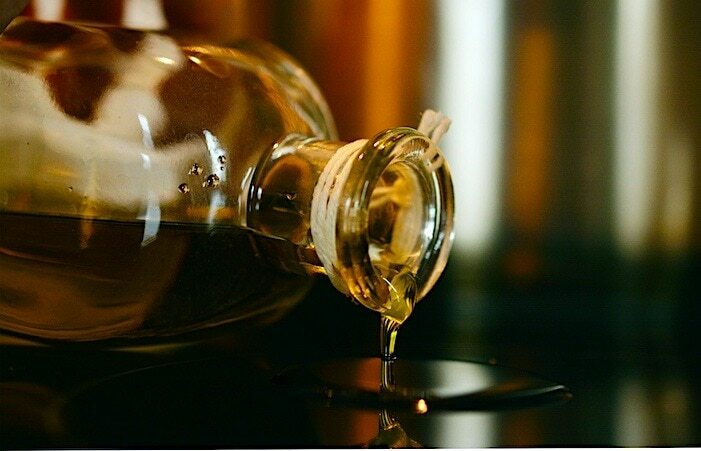 However to get the benefits, you must replace other fats with olive oil, making it your type of fat in the diet. 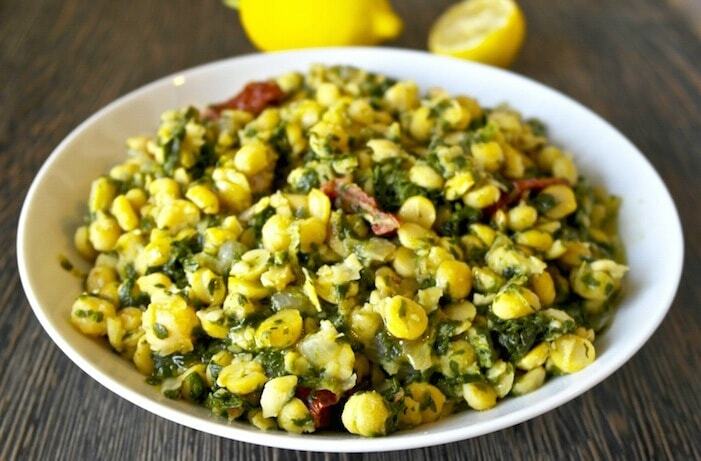 In addition olive oil is what helps with such a high consumption of vegetables. 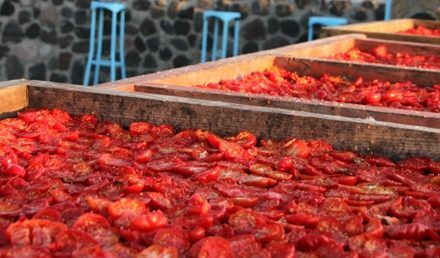 Greeks consume many vegetables and one of reasons for this is because they cook them with olive oil which makes it easier to eat large amounts. 2. Eat vegetables as a main course. 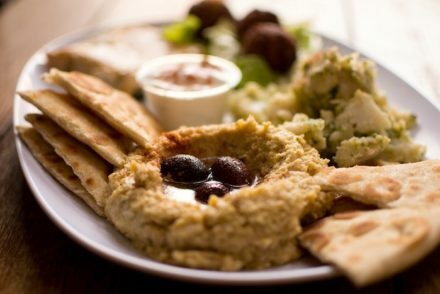 The high consumption of vegetables is a main characteristic of the Mediterranean diet. Greeks consume almost a pound of vegetables a day. 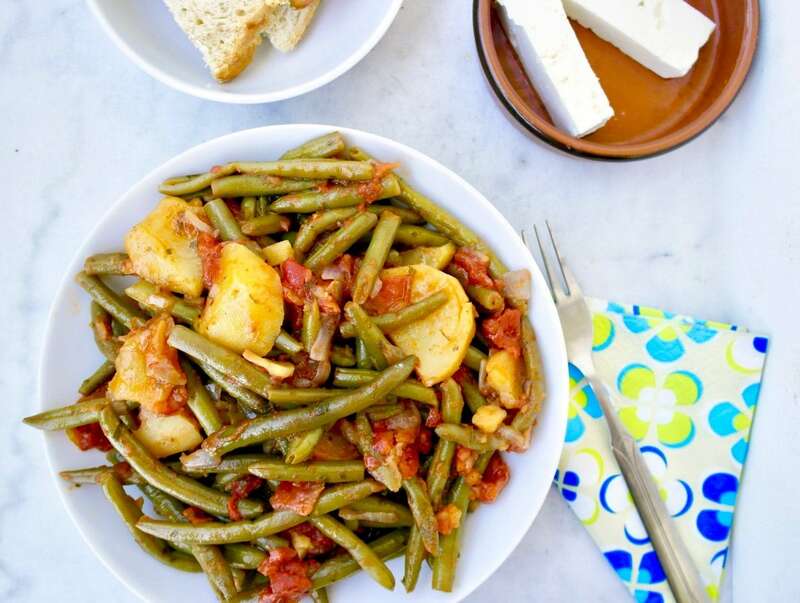 In order for this to be accomplished vegetables such as green beans, peas, eggplant, artichoke, and okra are cooked in olive oil, tomato and herbs and accompanied with bread and feta cheese. A dish of these vegetables can provide 3 servings of vegetables. 3. Learn to cook a few basic Mediterranean meals. 4. Go vegan one or two days a week. When we look at the traditional Greek diet, the Greeks abstained from animal products about 200 days a year for religious reasons. This most likely played an important role in the health benefits that were seen in that population. Check out the guidelines here. 5. Stop adding meat to everything. I often see in recommendations for healthy eating plenty of vegetable dishes but also quite a bit of meat. We do not need that much meat (even if it is lean), and studies have shown that reducing meat is correlated with better health. Try the following guidelines: red meat once a week, chicken once a week and fish once a week. I’ve just discovered your site and have been reading for the past few hours. Good stuff! Do you think dietary preferences are inherited? I absolutely did not grow up eating any thing Greek or Mediterranean. My mother is the daughter of a butcher (gag) and was forced to eat the most disgusting meat and body parts, along with a heavy European (German and Czech) influence, coupled with American things like meatloaf. Being on my own for many years now, I’ve discovered Mediterranean food and am obsessed with it. I tell my husband, who eats much like what I grew up with, that “I have to feed my Greek”, and he understands. Inherited or no? I ask the question because my sister took a DNA test and found out we’re a small-ish % Greek and Spanish. HUGE surprise! I suspect these are from my father, who’s up for eating anything. And I’ve got his nose. Thank you Priscilla! I’m not sure about inheriting dietary preferences, we know that many food preferences are learned. but it looks like you may have something from your father. 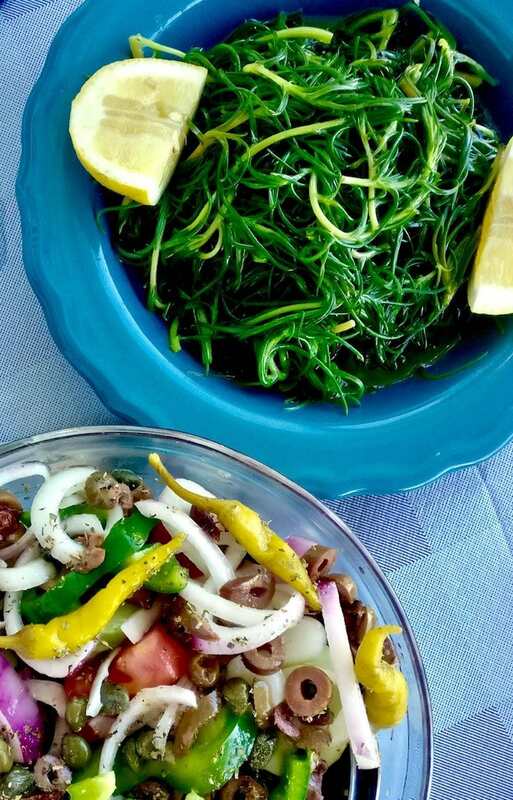 There’s more to Mediterranean diet than just insalatas and souvlakis. Since I got gluten allergy, chickpeas are one of my go to carbs. 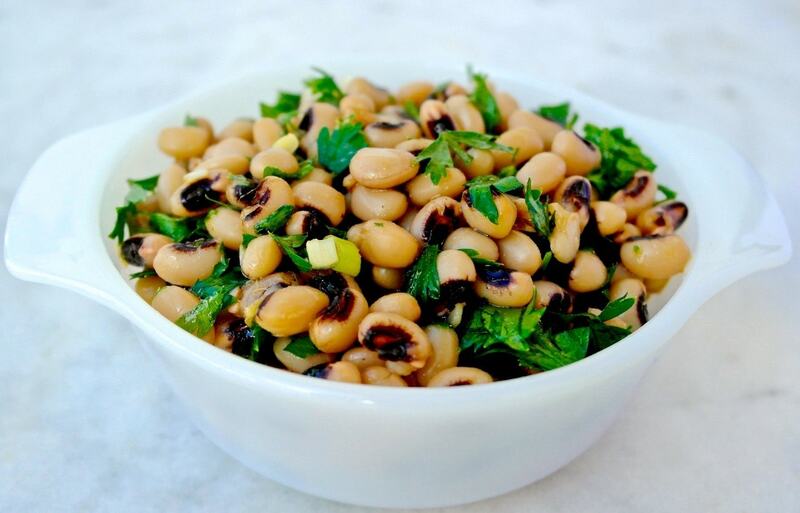 Chick peas aren’t just a carb; they are also very rich in protein. Not Greek, but I’m eating some hummus tahineh I made yesterday. Try them with rice crackers if you have a gluten allergy. Good hummus should be fairly plain. Chick pea flour also makes great crêpes and flatbreads. 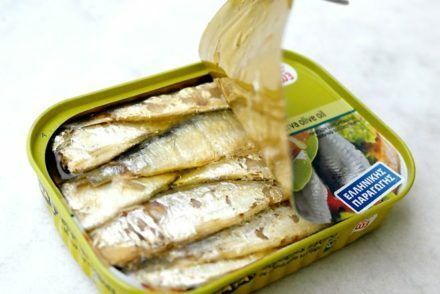 The ones I’m familiar with are from the western Mediterranean (southeastern France and northwestern Italy, between Nice and Genoa); I don’t know if anything similar is eaten in Greece or anywhere in the former Ottoman Empire. Fish is actually a huge part of the Mediterranean Diet, as is chicken, turkey, and lamb. Red meats are what is bad and not really a huge part of the diet. Fish is a huge part of the diet, as I discovered from the many websites I have gone on to study and learn about this diet, it helps get the omega-3 fatty acids and proteins. 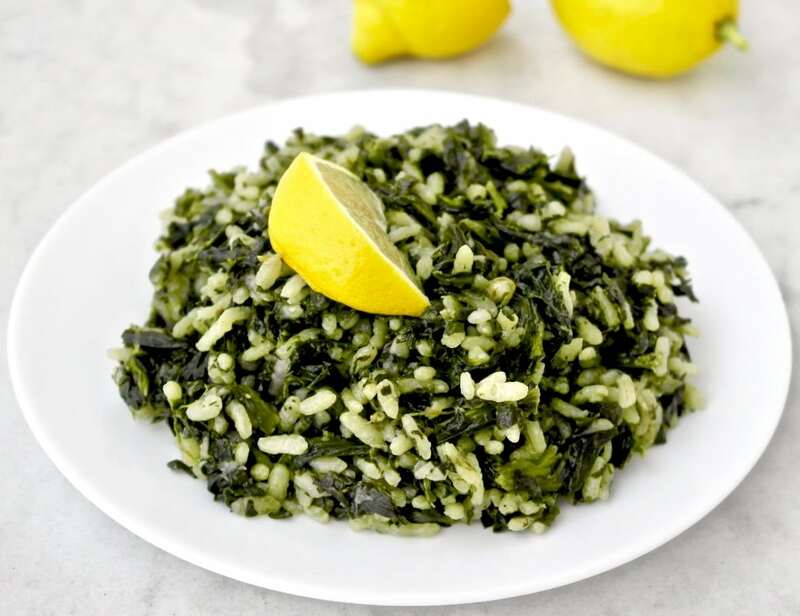 I’m a Greek Canadian who grew up eating mostly traditional Greek island Fare. But fairly recently (actually happened a few years after switching to a vegan diet) I was diagnosed with pernicious anemia with reduced gut intrinsic factor and my dr noticed I have an incredibly hard time getting plant proteins (I have a hard time with absorbing all protein but animal protein absorbs much better, missing a few meat meals can leave me anemic very quickly) my doctor has recommended eating red meat at least every other day and at the least chicken ( or fishX2 but I’m not so much a fan i take a fish oil supplement instead) once a day what can I better do to incorporate my traditional diet into these guidelines? Hi Anastasia, Treatment of pernicious anemia varies, if it is due to lack of intrinsic factor than you would need supplementation, not just diet changes. If it is due to your diet, than adding these foods you mention can help. If that is the case I would incorporate small amounts of meat, chicken, fish and eggs as a supplement to mainly vegetable based meals. However, as it is not clear whether it is due to diet or intrinsic factor, I would recommend you get that clarified and also visit a Registered Dietitian Nutritionist who can guide you.